Hey yo Wednesday! This weekend I received my Beautymnl package the next day after I placed my order, thanks to their super fast shipping. Please look forward to my review about Maybelline Pore foundation. 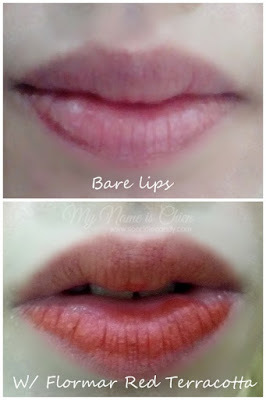 However for today I want to review a lip product I've used recently, Flormar Supermatte Lipstick in Red Terracotta. Supermatte Lipstick will create a velvety look on your lips. Providing intense color thanks to its special formula, Flormar lipstick creates a matte look on your lips. 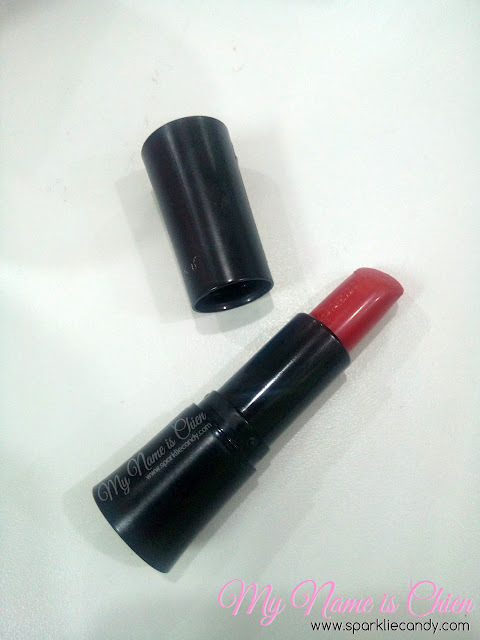 Suitable for all make- up styles, Supermatte Lipstick also protects the sensitive texture of your lips. Choose one of the 12 available colors and have the lips you have been dreaming of. Flormar has become an irrevocable brand in women of Turkey’s nail polish choice. Taking its success a step forward after a short time beginning to operate in Turkey, Flormar started to offer its product range from blush to foundation, eye shadow to mascara, lip stick to nail polish with high quality and budget prices to its consumers. The lipstick's case is a matte black tube. The name printed is already gone after being lugged around, now its only a plain black tube. 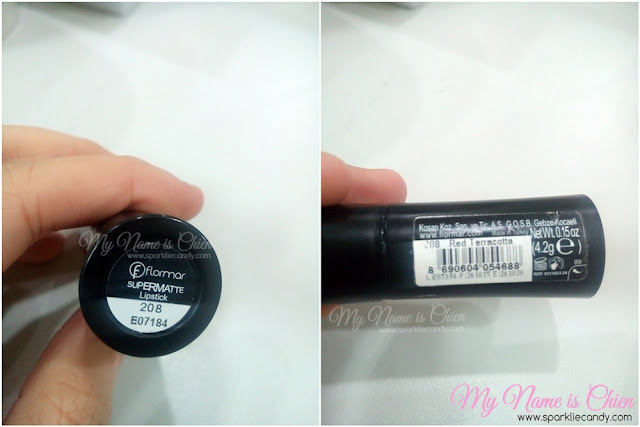 Flormar Supermatte Lipstick is unscented. 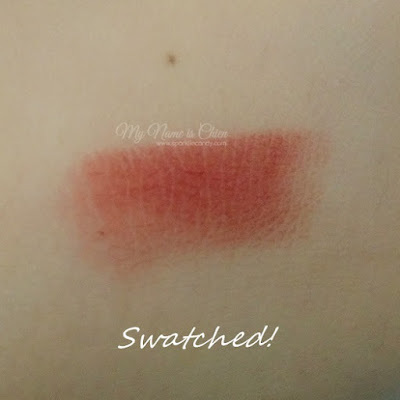 The lipstick is smooth to apply, it doesn't dry out the lips although the formula says its matte but it also doesn't moisturize the lips so I use lip balm first. The shade is brownish red, sort of brick red. The color is opaque and its buildable. One swipe quickly brightens up my face. Its a gorgeous color I recommend for all sorts of occasions. It has a matte velvety finish which looks very nice. This is the type of color that you may use if you're meeting the parents of your boyfriend for the first time. Red Terracotta shade is the type of red that makes you feminine, you'd be walking confidently with a heart with this color. The brick red shade, its a rare color for me! Its in the realm of possibilities. 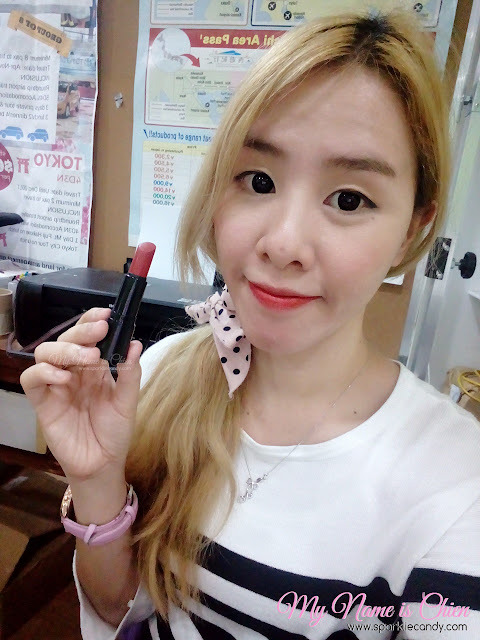 Flormar Supermatte Lipstick in Red Terracotta is the bomb. The shade is a winner and the velvety matte finish is super pretty. A type of red that is feminine yet with a strong vibe. 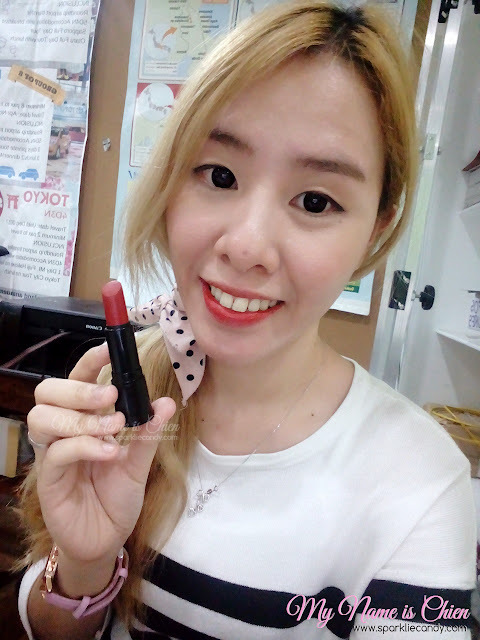 To end this post here are my selcas with the lipstick on. Excuse the dark spot on my nose, it was a king pimple some time last week. Huhu.